I'm aware of this question and others but have not found a definitive answer to how a domain should be set up with multisite so that www and non-www variants behave correctly. I believe I have wildcards set up correctly at the DNS level and the suggested solution to add define( 'NOBLOGREDIRECT', 'http://www.example.com' ); works for my main site but not other networks in the same install. So what is the correct way to map bare domains without www to a multisite install? Are plugins required? Should this all be handled in web server config using rewrites? 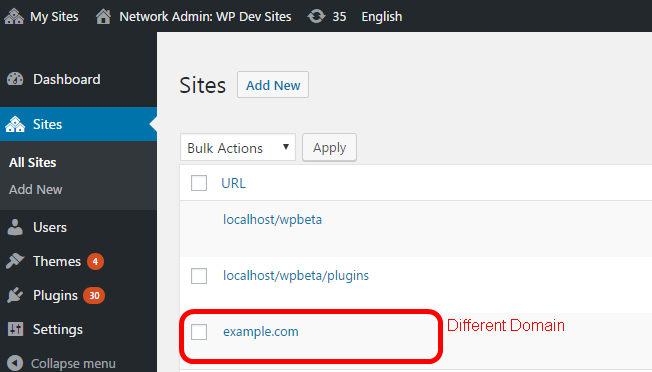 WordPress Multisite can handle different domains by default - but NOT with alias domains. The settings of each site store the domain. On a default install there is a subdomain or folder-structure. But you can add a single domain. For example, the first two sites are with the same domain (default from install) and the third site working with a different domain, external from the default. The last one is a different domain. No plugins or custom source for domain mapping are required. If you want to reduce the cookie check for each login, add the following constant to wp-config.php. Otherwise WordPress will always set it to your network’s $current_site->domain, which could cause issues in some situations. Mercator - WordPress multisite domain mapping for the modern era. WordPress MU Domain Mapping - Map any blog/site on a WordPressMU or WordPress 3.X network to an external domain. I don't have the requisite knowhow about doing this with Non-WWW and WWW urls, but I think this case is slightly different. A domain like www.test.com has the subdomain www. But the www is a synonym for the web and often not interpreted as a subdomain. For all my clients, I rewrite to Non-WWW from the WWW address. On the process, to create a new site it is not possible to add a external domain in the input field. 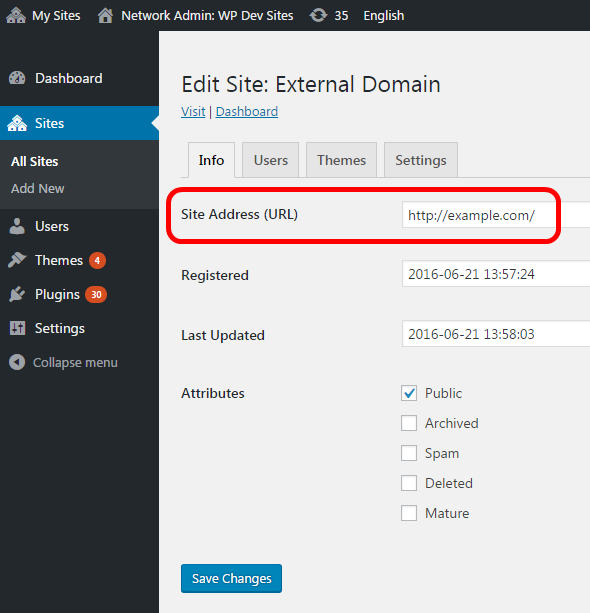 Add an random value and after creation of the site, use the edit possibility to add the external site. Domain mapping (without plugin) in 4.5.x multisite? How can I use different domains on a WP multisite install? What is the best way to load the WP environment in a subdomain of my multisite Wordpress install?